It gives me great pleasure to join you tonight for the Inaugural Yidan Prize Presentation Ceremony. 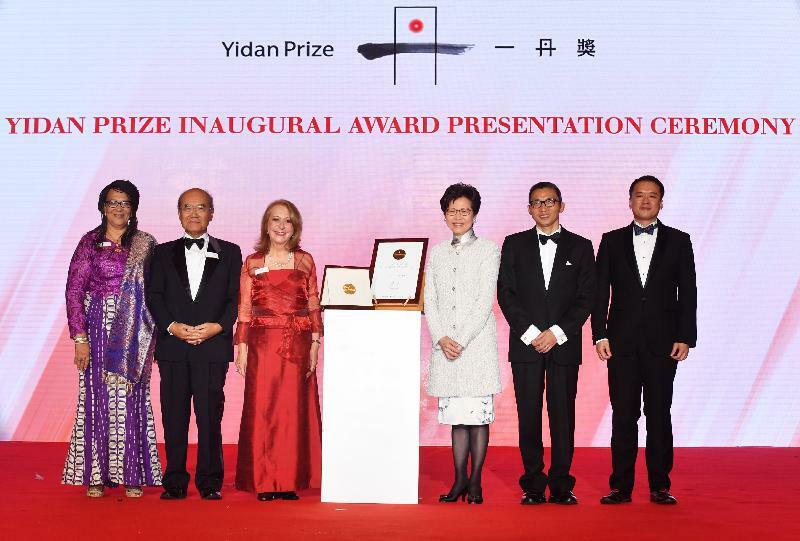 Originated in Hong Kong, the Yidan Prize is the largest recognition of achievement in the field of education in the world, thanks to Dr Charles Chen's extraordinary commitment and laudable vision to create a better world through education. I'm particularly proud for Hong Kong as this is already the third prestigious international accolade based in Hong Kong, preceded by the Shaw Prize recognising distinguished individuals in the fields of astronomy, life science and medicine and mathematical sciences and the Lui Che Woo Prize awarded to individuals or organisations that have made remarkable contributions to the welfare of mankind. 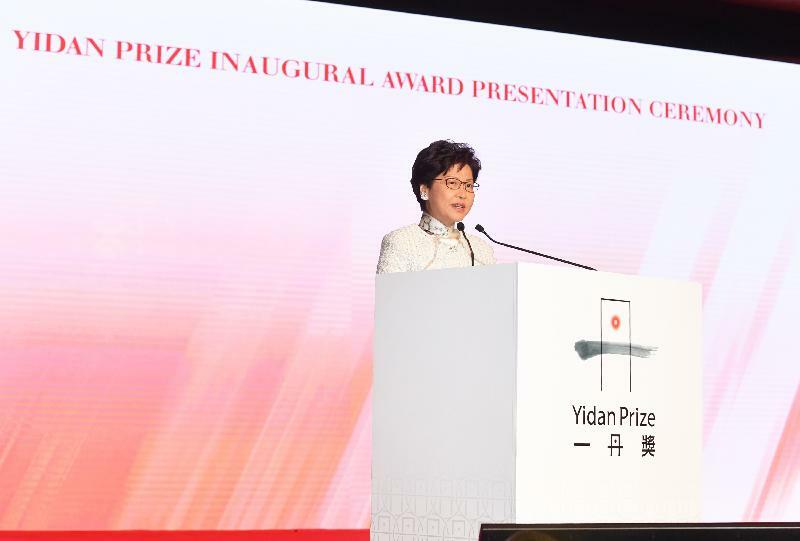 I have the honour of presiding over the annual awards of those two prizes in my new capacity as the Chief Executive of the Hong Kong Special Administrative Region in the past two months, and tonight, I am much delighted to witness the inaugural presentation of another prestigious award, dedicated to an area which is very close to my heart. Talent is the most important element in Hong Kong's continued development, and education is the key to nurturing talent. I said therefore in my Election Manifesto that government expenditure on education is the most significant investment for our future. And I practice what I preach: in the first month of my taking office from July 1 this year, I obtained approval from the Legislative Council to allocate an additional HK$3.6 billion to our recurrent budget on education , to put in place various improvement measures in kindergarten, primary, secondary, university as well as special education. The goal of our education policy is to nurture future generations to become citizens who are socially responsible and equipped with a sense of national identity, a love for Hong Kong and an international perspective. But I believe education should be led by experts and professionals, certainly not bureaucrats; the role of the Government should be one of creating a stable, caring, inspiring and satisfying teaching and learning environment for students, teachers, principals and parents. The success in education, however, requires the collaborative efforts of all who care about our next generation. The founder of Yidan Prize, Dr Charles Chen, is definitely one of those who cares about our future generations. As a co-founder of Tencent, Charles took what many would regard as early retirement to focus his attention on charity. He founded the Chen Yidan Charity Foundation in 2013 and launched the Yidan Prize in 2016 with a HK$2.5 billion donation. 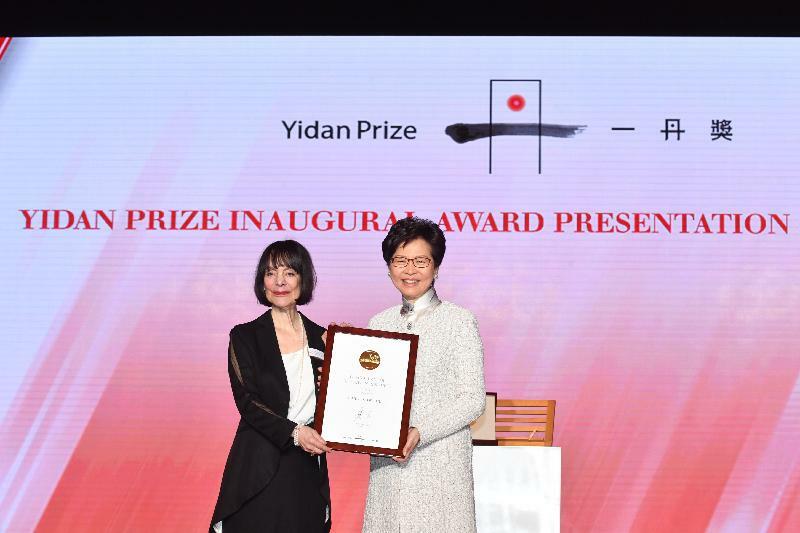 Tonight we will congratulate the two inaugural laureates for the Yidan Prize, Professor Carol Dweck and Ms Vicky Colbert, and have the opportunity to listen from them their respective vision for quality education. While my Government will continue to invest in education, we must at the same time prepare our young people for the many challenges in a rapidly changing world that will be very different from the one we faced when we were young. We must ensure that education is inclusive and accessible to children regardless of race, nationality, gender, religious belief or means. This is where one of our inaugural laureate Ms Vicky Colbert from the Fundación Escuela Nueva has pioneered through innovative education models. Pioneering research is of course the hallmark of our other inaugural laureate Professor Carol Dweck. Her work on "growth mindset" has instilled among many people - students as well as businessmen - the motivation to succeed. I just hope, Carol, we could learn how to apply this within the Government with a view to fostering greater success in my efforts to better our society. 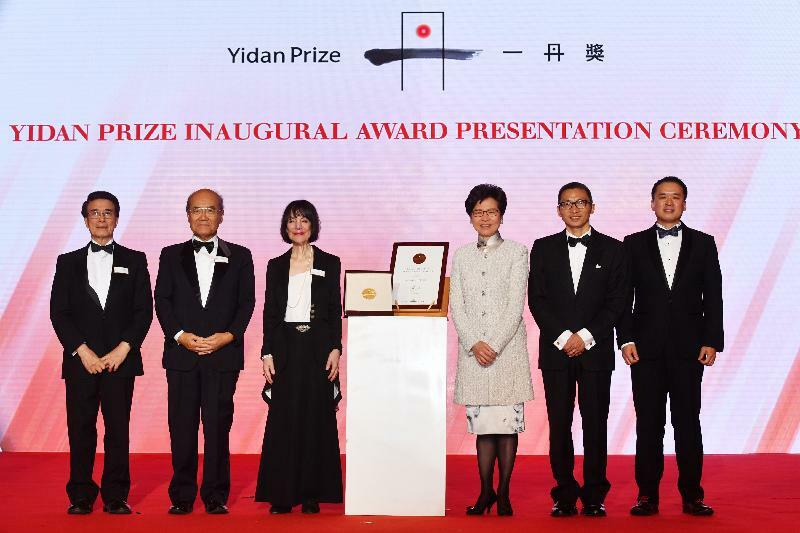 The Yidan Prize gives us much to look forward to in education excellence. 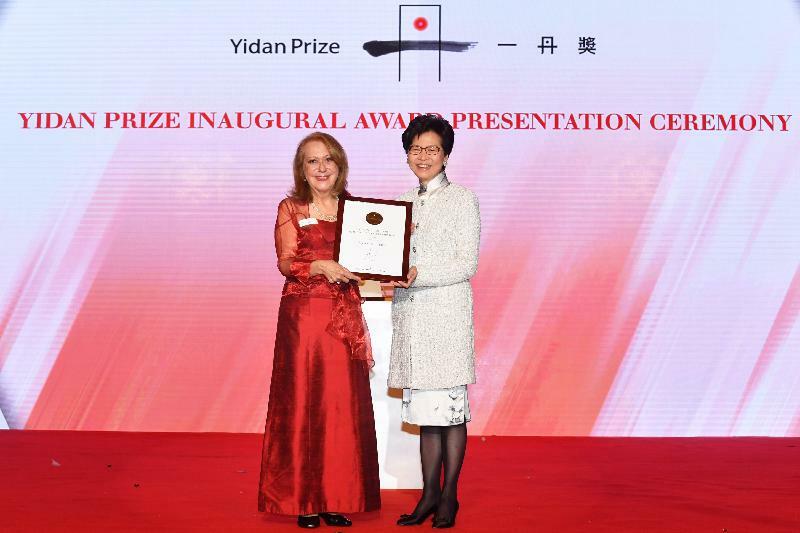 And for this, I am grateful to Dr Chen, the Yidan Prize Foundation and the international judging committee for their commitment to global education and educators, and for their contribution to the sustainable development of the world we live in. My congratulations again to this year's laureates, Professor Dweck and Ms Colbert, for their distinguished achievements. Working together, I know we can create a better world through education. Ladies and gentlemen, please enjoy this memorable evening. Thank you very much.